Not all girls grow up fantasizing about having the perfect wedding, getting married, and living happily ever after. However, there are still a great deal of ladies who dream of having that fairy-tale wedding where they get to play the princess. 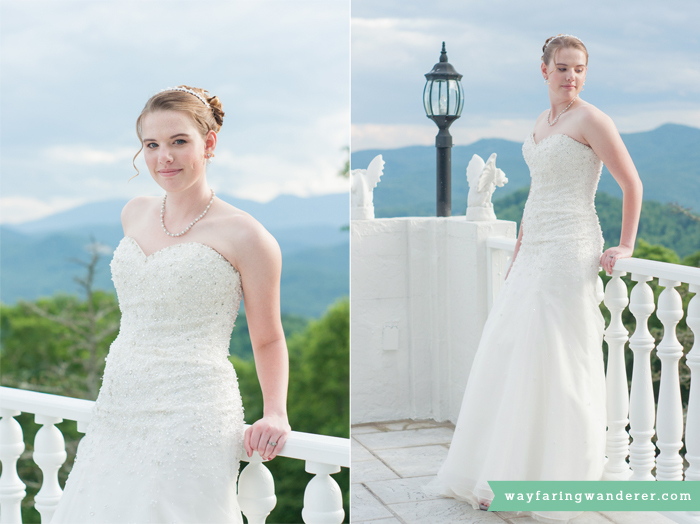 On Monday, at the ACES (Association of Consultants and Event Services) meeting at Smithmore Castle down in Spruce Pine, NC, I ended up spending a lot more time photographing models wearing dresses than I did socializing with other wedding vendors. That definitely wasn't my intention, but I got a little carried away because I was having so much fun! Brides in wedding dresses is something I am a complete sucker for! They’re positively glowing and look so gorgeous! There's a reason why I stopped carrying my professional camera equipment with me on a regular basis. It's because I turn into a full-on paparazzi when I get going. I can't just take a handful of pictures and put it away. It's not that easy for me to be done with it once I get started. That's why leave it at home or else I’m in danger of getting photo tunnel vision! While there are so many different bridal gown styles available, the types of dresses these models happened to be wearing were befitting of the fancy venue we were at. The girls were modeling mostly princess ball gown wedding dresses as well as a few other wedding gown styles. South's chose some dresses that I thought would be absolutely perfect for a castle wedding! The Smithmore Castle is a private estate in Spruce Pine, North Carolina. 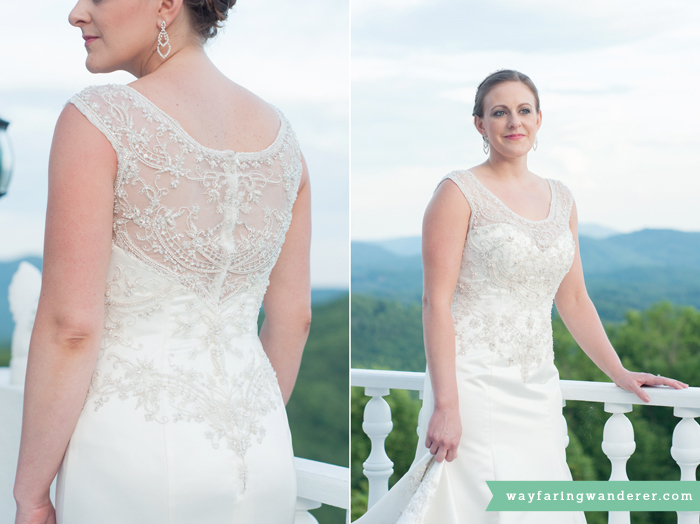 It has been restored to surpass its former glory and is one of the newest wedding venues in the western North Carolina area. As I mentioned earlier in this post, I was there for a meeting along with other local wedding vendors who are members of ACES. It was such a beautiful house, so opulent and grandiose. 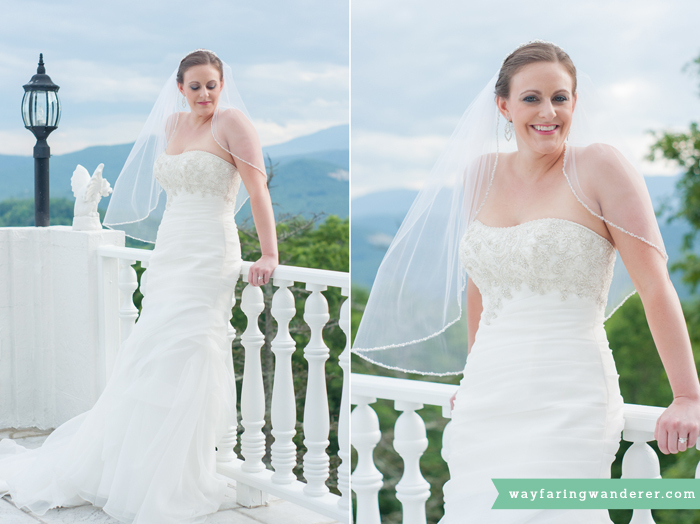 One of my favorite features was definitely the incredible panoramic view of the Great Smoky Mountains from the verandas and patios. 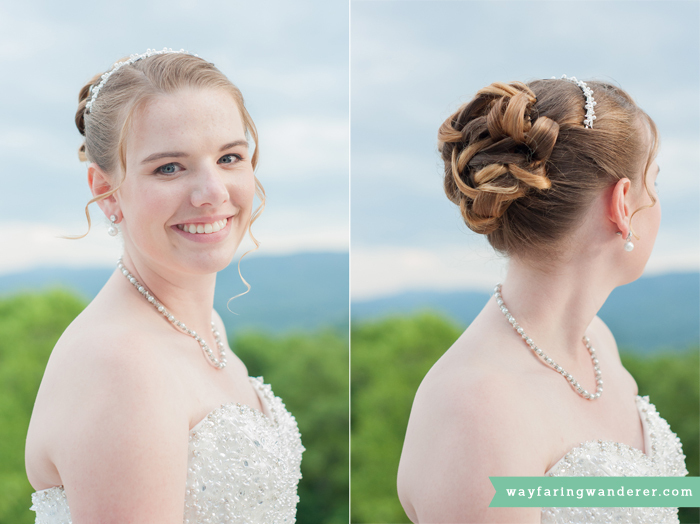 The majestic range made for a perfect backdrop to use for the bridal portraits. 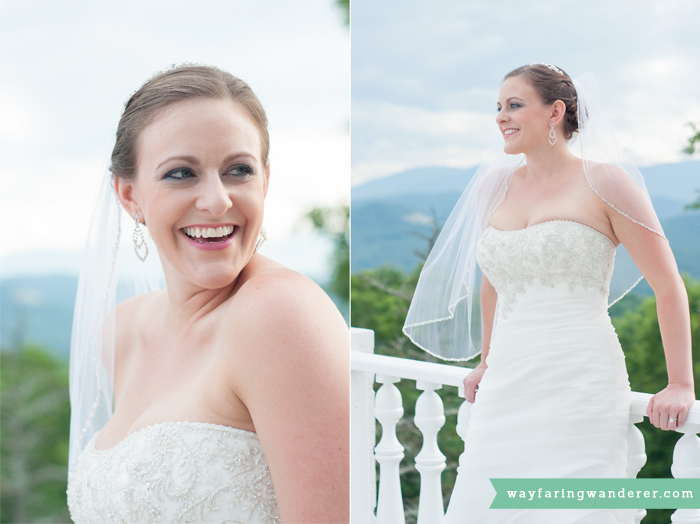 It’s another reason why I stuck around for so long capturing the girls in their dresses because it was so breathtaking! Tia (pictured above and below) is actually getting married next year in Boone, NC! Isn't she gorgeous?! 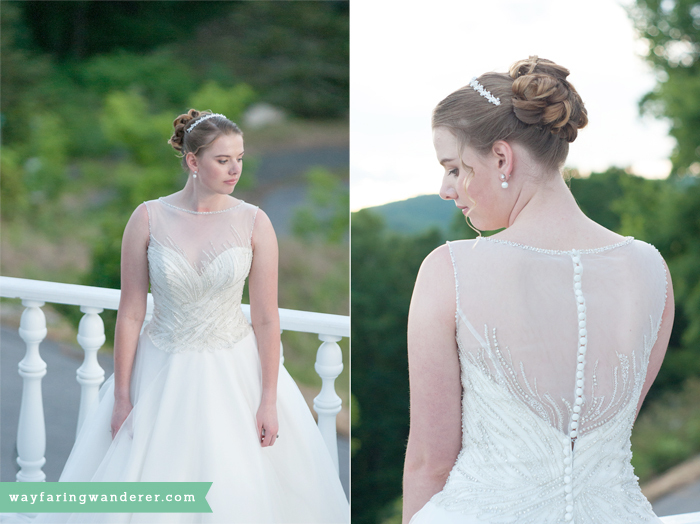 The intricate bead work on some of the dresses was extremely delicate and detailed. The dazzling brides looked so glamorous in their glitzy gowns. 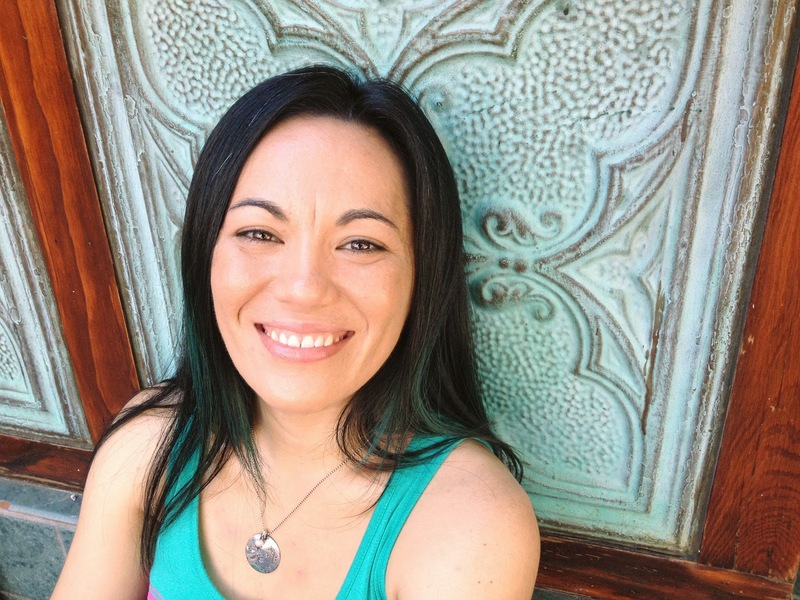 It was a complete surprise to see Heather (pictured below) at the ACES event. We used to work together at my old office job. 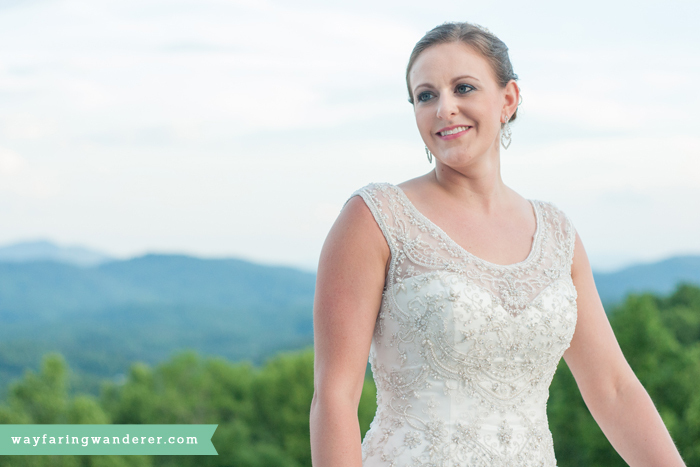 She's already married to a wonderful fella, but she makes a beautiful bride! South's Specialty Clothier also showcased a few mother of the bride dresses. 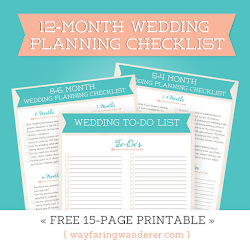 They can easily accommodate parents and guests looking for unique attire for weddings, too! The ladies they had modeling the dresses looked simply stunning in their ensembles. One woman was actually wearing the exact outfit that she wore to her sons wedding. That's how she ended up modeling for the event! I really didn't mean to spend almost the entire evening photographing the models wearing wedding dresses; however, I had a ton of fun hanging out with these ladies and working with Laurie (from South’s) and I look forward to the opportunity to do so again in the future! South's Specialty Clothiers is a local family owned business located in the Boone Mall. 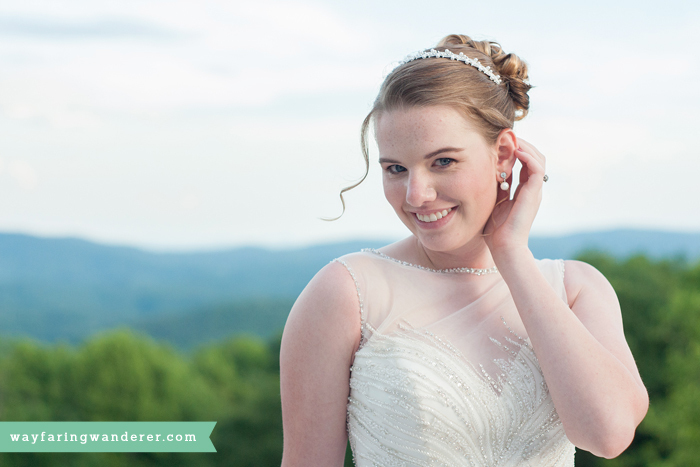 For over 30 years it has been the High Country's premier one stop shop for bridal, formal-wear, and casual clothing. South's can fulfill your wedding dreams by working with each bride one on one to provide the perfect wedding gown. They have trained formal-wear consultants with expertise in helping you choose the style that compliments your look for any occasion. You just returned home from another super awesome family vacation where you laughed and played and enjoyed each other's company all the livelong day! The entire trip couldn't have been any more perfect even though you experienced a few hiccups here and there (of course). Your #1 goal was to soak up as many of the fleeting moments as you could, ensuring that you savored every last second shared with the people that you hold so dear. Isn't it amazing how quickly that time passes while you’re in the midst of an adventure?! Before you know it, vacation is over and it’s back to “real life” and the daily grind. The only regret that you have after returning home from the much needed time off is that you kind of forgot to take any photographs while you were away. None of those happy faces were captured, nor were any of the goofy looks that your partner always makes when you point the camera in their direction. The enchanted experiences you encounter reside only in your faulty memory now. Or, maybe you did manage to capture a few decent iPhone snapshots of your loved ones, and that’s great! But there's still an element that's missing from the cheerful family photos that you’d love to display at home. Can you guess what that might be? No clue? Well, it's Y-O-U! If you're the one capturing all of the family photos, chances are you don't find yourself in very many of them. Am I right?! It's as if you weren't even on the vacation when you look back through the photostream on your phone or social media. 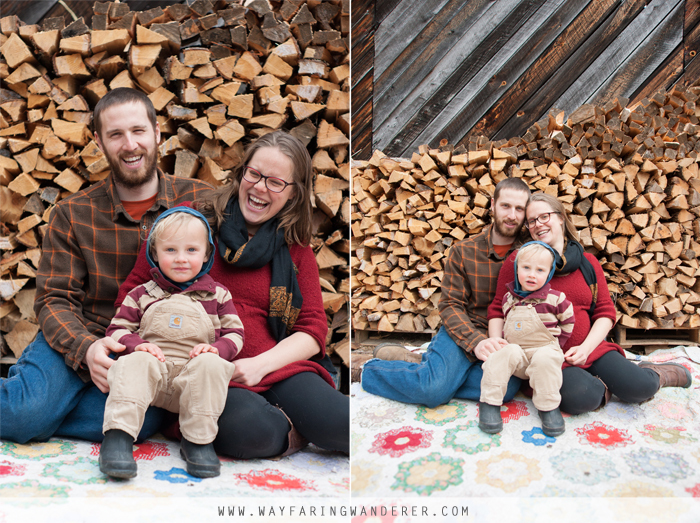 I have a hunch that Dad’s not really one to take too many photos either, so that’s not going to help you create precious keepsakes of your ever growing family! 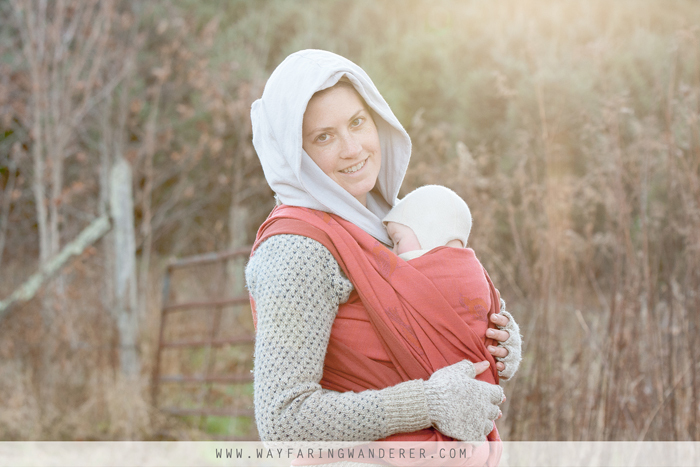 That’s where Wayfaring Wanderer comes in with Choose Your Adventure Sessions and I’m declaring war on boring family photos! My goal as a family photographer is to make having your portraits made fun for everyone, even Dad who hates "posing" for family photos! That's why I focus on helping you make new memories with an adventure that is made just for you! 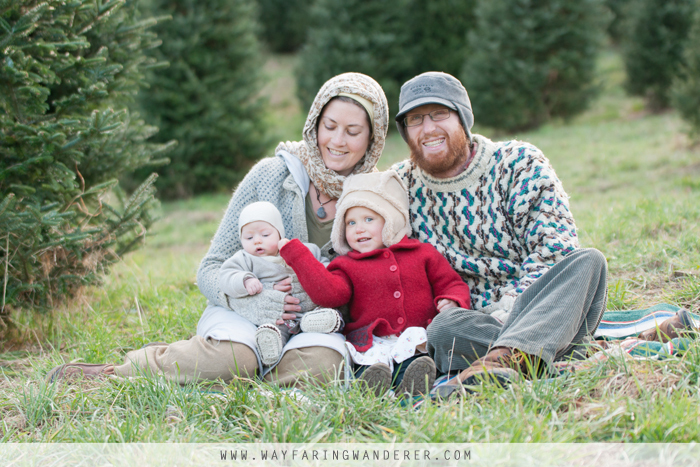 As you may have gathered, I like to work with couples and families who live adventurously and are committed to travel. I tell stories using a photojournalistic approach that requires minimal posing because I like to capture real moments as they occur naturally. So, I will keep things simple and fun to ensure that the photoshoot flows and unfolds organically without allowing stuffy, posed photos to take up too much precious time! 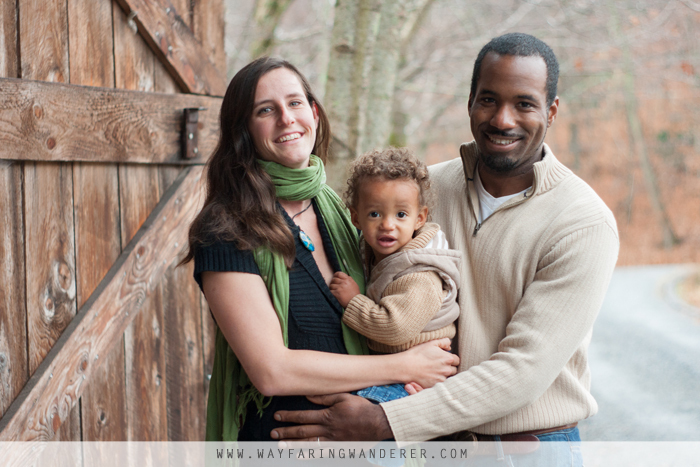 I had the opportunity to photograph some amazing families here in Boone, NC last year. 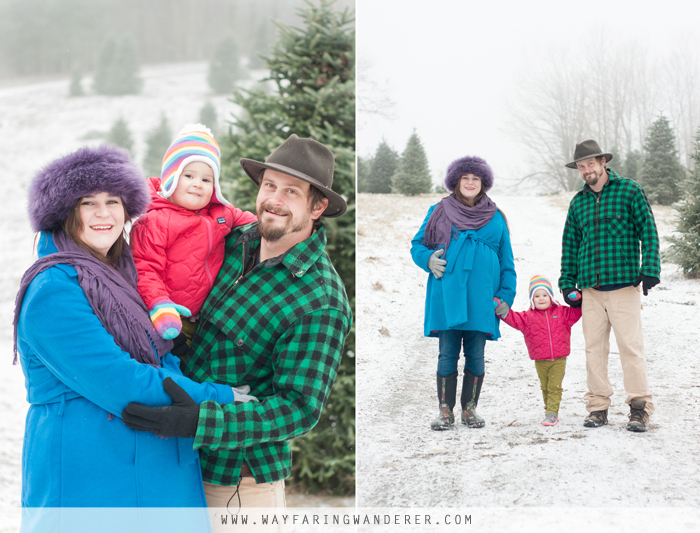 It was such a blast doing outdoor family portraits for everyone! 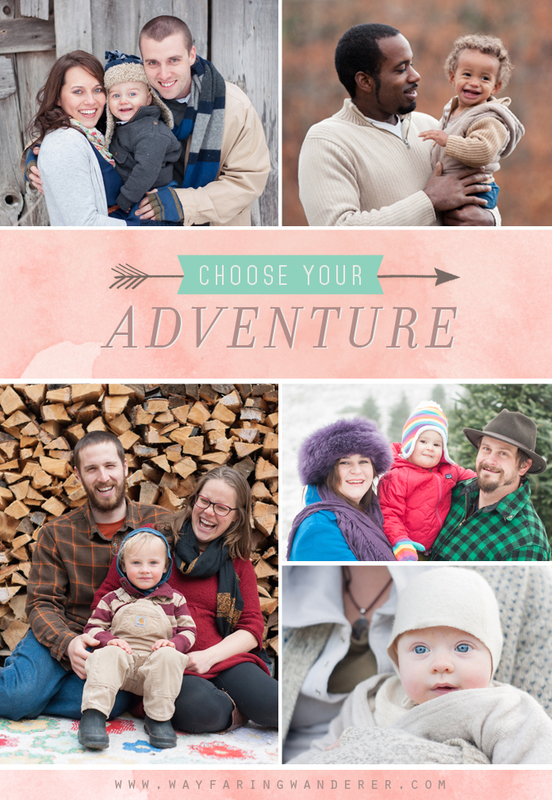 The Choose Your Adventure Holiday Sessions were so well-received that I thought I’d bring them back for the summertime! I don’t offer family photosessions all year long because my focus is on wedding photography but I truly enjoy photographing adventurous families! While I am still currently looking for fun locations that will allow me to host my special weekend of affordable Choose Your Adventure Sessions, I am offering a unique opportunity for families who want to get photographed in any environment of their choosing for FREE! Yep, that’s right! And I’m not just giving away one session, I’ll be hand-selecting 5 lucky folks on my newsletter subscriber list to receive a complimentary 1-hour session at the location of their choosing within Boone or Blowing Rock, NC that’s valued at $299! Choose Your Adventure Sessions include: 1-hour session for up to four people on location in the Boone or Blowing Rock, North Carolina area, you'll receive up to 15 high-resolution digital downloads with printing rights, and a website and smartphone app to quickly and easily share images with friends and family for 249 + tax. After the official launch on June 15th, the price will go up to 299 + tax. The early bird discount of 249 + tax is only available to the first 10 people who reserve their date so book today! 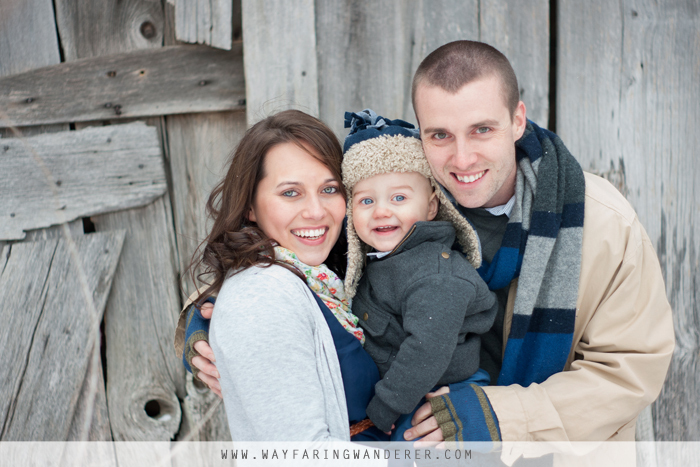 Simply send me an email at wayfaringwanderer@gmail.com and I'll get you on the schedule! I’m hosting a giveaway for 5 Choose Your Adventure Sessions for those that are subscribed to the Weekly Wander. PLEASE NOTE: details on how you can WIN will be released on Thursday (06.05.2014) late in the afternoon (4:00 pm) via email! Good Luck!